Admire streets and squares unchanged since medieval times, before mingling with locals by market stalls and in cosy cellar bars. With grand castles, columns and Kazimierz, there’s plenty on the map. All this, plus a dramatic past, means Poland’s second biggest city should be first on your list. This is a gorgeous disabled city break. The Hotel Sheraton Krakow is ideally located on the banks of the Wisla River and near the famous Wawel Castle. The Market Square is just some 10 minutes away where you’ll find a multitude of shops, pubs, restaurants and cafes. For those who like to make the most of the hotel facilities, why not try the Hotel’s Olive Restaurant, the Rooftop Terrace (summer only), the Sports Bar or the Vodka bar. 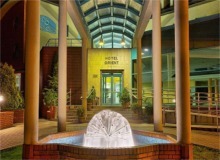 Hotel Orient is an award winning 4 star hotel conveniently location near the exhibition hall of Krakow Fair, Aviation Museum, M1 Shopping Centre and Plaza. The hotel is sublimely furnished in an elegant and modern manner and contains a variety of facilities for an enjoyable holiday. This modern boutique style hotel has just 60 rooms and is located on Kossak Square in the King’s Castle area of the city. It is near the main square with its hustle and bustle and only a few minutes away from the charming Kazimierz – the Jewish District. The cosy Grand Sal Hotel was created in the renovated building of the Salt Baths, located in the immediate vicinity of the Mikolaj Danilowicz tourist mine shaft, 10km from Krakow. Hotel interiors and decoration emphasise the link between the Hotel and the mine, with the discreet elegance creating an ambience of warmth and luxury. Set in a classical-style building fronted by trees, this contemporary downtown hotel is a 12-minute walk from both Wawel Castle and Wawel Cathedral. Stylish rooms with contemporary decor and free Wi-Fi feature flat-screen TVs and minifridges, as well as iPod docks and tea and coffeemaking facilities. 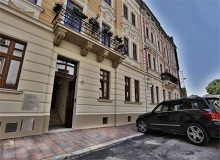 Hotel Amber is a small boutique hotel in the historical centre of Krakow. This elegant facility is located in a quiet street just 5 minutes away from the Main Square. The staff are extremely friendly and always ready to help, this is an exceptional hotel, where every desire of the guest is immediately satisfied. The modern and comfortable Wyspianski Hotel is located in the heart of Krakow and close to the Market Square. In the hotel you'll find a restaurant serving both Polish and European cuisine and a bar/lounge. There is also a garden terrace - a great place to unwind after a day's sightseeing. 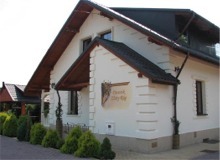 Dworek Zloty Róg is a cosy and charming 2 star hotel located in the peaceful part of Krakow close to the Main Square. The hotel has a capacity of 90 guests and includes an inviting restaurant that serves delicious Italian and Polish cuisine.